Pop-rock quartet, All Time Low, will be hitting the road this Fall on a headlining tour that will take the “Weightless” outfit across the United States. 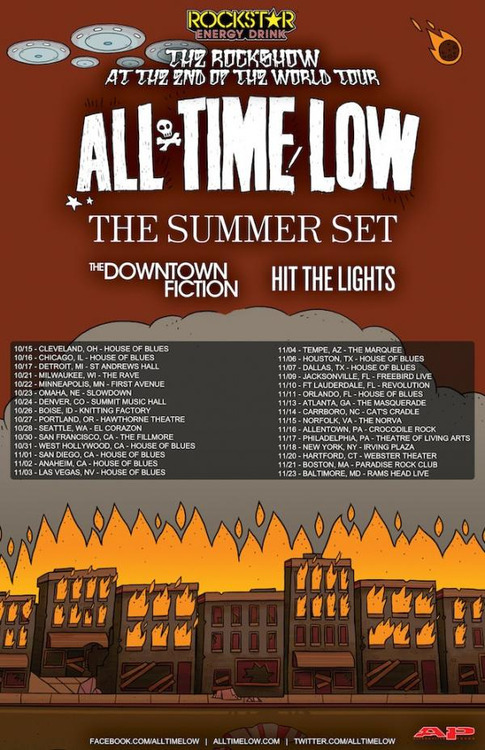 Joining All Time Low in support on “The Rockshow at the End of the World Tour” will be The Summer Set, The Downtown Fiction, and Hit the Lights. On a couple dates, The Early November will replace The Summer Set. The tour will kick off on October 15 in Cleveland, Ohio and will conclude on Black Friday, November 23 in Baltimore, Maryland. Check out all the dates after the jump. 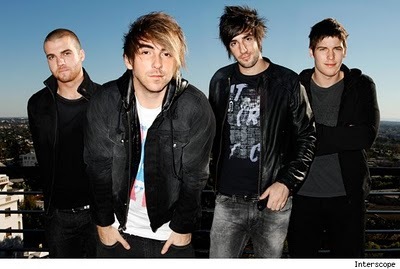 All Time Low recently parted ways with Interscope Records and rejoined Hopeless Records; the label ATL released their first three albums on. The break with the major label coincides with All Time Low announcing that they will be releasing their fourth record, and first since last year’s underwhelming Dirty Work, later this year.